Fifteen contrasting stages play host to an array of musicians, including a few musical heavyweights, as well as a selection of local talent. The festival is independently funded and has no involvement in corporate organisations, nor does it receive any sponsorship. The festival has a high attention to detail with every inch of the site taken into deep consideration.  Celebrating it's 12th edition the festival of beats and baaminess takes place in The Ribble Valley, Gisburn, Lancashire, from Friday 14th until Sunday 16th July 2017. Confirmed acts include Sleaford Mods, Crystal Fighters, Kelis, Trentemoller, Toots And The Maytals, David Rodigan, Lee Scratch Perry, Milky Chance, Romare, The Sugarhill Gang Ft Melle Mel & Scorpio, Adrian Sherwood, Dub Pistols, Factory Floor, Stereo MC's, and more, with many more still to be announced. For all the details so far please see the line-up page. All Beat-Herder tickets, regardless of the tier, are the same with the same entitlements. All tiers are available, so either grab a bargain from the lower tiers while you can, or if you're feeling super flush, buy a ticket from the top end to give those with shallow pockets a cheaper option. Tickets will be sold on tiers and Tier 1 is £110, Tier 2 tickets cost £125, Tier 3 are £137.50 and Tier 4 cost £150. Prices are subject to an additional booking fee. All Adult Tickets are subject to a £5 refundable litter bond. This will be refunded at the festival when the ticket holder presents a full bag of litter at a litter bond station in the campsite or campervan field. A 'Youth Ticket' for anyone aged from 13 - 17 years old priced at £85 plus booking fee. All Youth Ticket holders must be accompanied to the festival by a parent, a legal guardian or a nominated guardian over the age of 30. Child tickets for those aged 2 to 12 years old are £25 plus BF. Under 2 year olds need an Infant Ticket, but these cost £nothing. This year there's the Car Parking Pass at £12, Campervan Pass (up to 6m in length) for £30, Campervan Pass (6m in length or longer) £50, and the Car and Caravan Pass for £50. The cost of tickets can be spread out through the Deposit Scheme or the monthly Payment Plan for Tier 3 Adult Tickets as well as all child and vehicle passes. The Payment Plan collects your payments automatically via Direct Debit. The Deposit Scheme allows you to secure your ticket with a 50% deposit - £68.75. The balance needs settling before 2nd May 2017. Beat-Herder prides itself on being a different festival experience to any other and this year festival goers can expect 15 completely unique, craftsman built stages including the mighty Main Stage, the oriental mystery of The Fortress, the heady atmosphere of The Woods, the Trailer Trash Big Top, the cosy Snug, the incredible, authentic Working Men’s Club (step inside, you could literally be in Todmorden in 1971) and many, many more beside. The fancy dress theme for 2017 has been announced as "the letter D". The festival is split into five main areas combining live music, DJ sets, creative workshops, face painting, food, stalls and more.